I need to find another way to describe the feeling I keep having. The word I use doesn’t accurately capture the feeling, nor does it help cisgendered (non-trans) people comprehend what I’m experiencing. I’ve come to call it “the tug” for how this feeling pulls me off course — or back on course, depending on your perspective, toward going full-time. This is not a judgment of others; to me, it’s a path that will certainly end my marriage and cause me so much unhappiness. And I realize there could be happiness in my acceptance of my true self and in living that life, someday, after a time. But I cannot get past the fact that “the tug” leads to unhappiness first, and foremost. That thought keeps “the tug” at bay. My friends offer great advice on how to follow the trails they have blazed, or to at least be open to this path; instead I spurn their advice and plunge into the abyss, on a hopeless quest that can only lead back to sorrow, separation and the realization of futility. I don’t pretend to be unique, or to think of myself as a superhero or act invincible. I cry, I bleed, I break. I do believe I am special, and that in my particular form of faith, God gave me a gift that I squandered once and was given a second chance to nurture: a woman’s love. How dare I reject that gift once more, and forever? I am frequently stunned by the acceptance I have received in coming out to those family and friends who know, and my wonderful employers and colleagues. The hardest part is not in the telling of my odyssey as a girl model, as a boy with breasts and a Dorothy Hamill hairstyle, or as a female member of the gym right across the street from work. The tough nut to crack is when I get to their question, “So, what’s next for you?” And I tell them, my plan is to stay married, present as male, and transition out of sight. Not one person has encouraged me on this path; quite the opposite. They almost beg me to reconsider, as if I am climbing into a barrel at Niagara Falls and asking them for to give me one last shove toward the water. Their instinct is the natural one: they want me to be happy. They ask me to at least not rule out, that someday, when the timing is right, that I’ll live my life as the gender of my heart. How can they see it sadly thumping so clearly beneath my compression shirt? I have learned to tune out the beat, the way I managed to concentrate on my homework on the subway ride home from my auditions, despite the screeching of the wheels and the rumble of the trains and the noise of the commuters. I found a way to flip the off switch to my ears. So why don’t our hearts and our brains have something similar? I don’t think I’d ever use it, but surely I’d be tempted. To me, the pain of my heart and the struggle of my mind remind me: I AM ALIVE. This is no dream. I live in the moment and for the moment, I live. Such a gift, almost as precious as the love of a woman, given to me by God, to be cherished, nurtured and cultivated. And every expression of me as the woman I felt I was crushed that gift like an army boot on wildflowers. They didn’t stand a chance. One dear friend told me to consider that “if you and your wife love each other and you can find some happiness in life without transitioning, don’t do it. If that’s not possible, then you may join the ranks of us that have lost while we’ve won.” Her words haunted me for hours after she posted them on my social network’s wall, like a motivational poster in a corporate office. Last November I decided what I needed so I could live. Today, halfway through January, I have come to the conclusion that if I ultimately give into this “tug,” what I will lose is the person I have consistently refused to surrender: my Wendy. But in doing so, the real winner could be this woman, and me… if I set us free. You mentioned the influence of God. “So God created man in his own image, in the image of God created he him; male and female created he them.” Genesis 1:27 Indicating to me that God is both male and female. 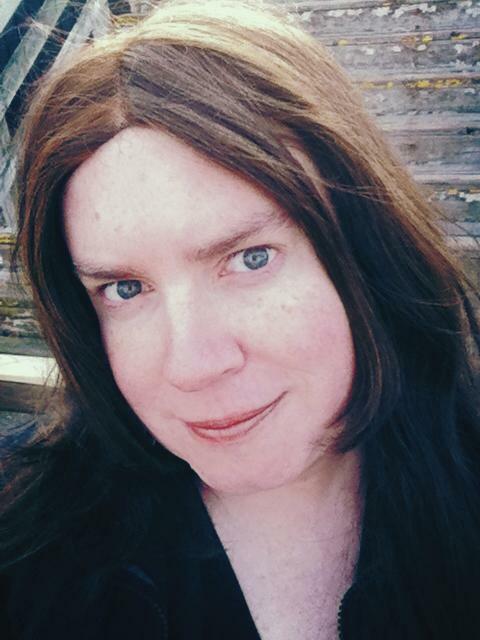 Who could be closer to God’s image than a Trans person? Furthermore, if it is wrong for us to alter our appearance to make us ‘whole’ then what about the millions of folks who have plastic surgery just to look better. Is it wrong to remove benign tumors, extra limbs, etc. ?